The Rangers are a fun team to cover for WPW because the guys aren’t afraid to take chances, but this one’s a swing-and-miss. 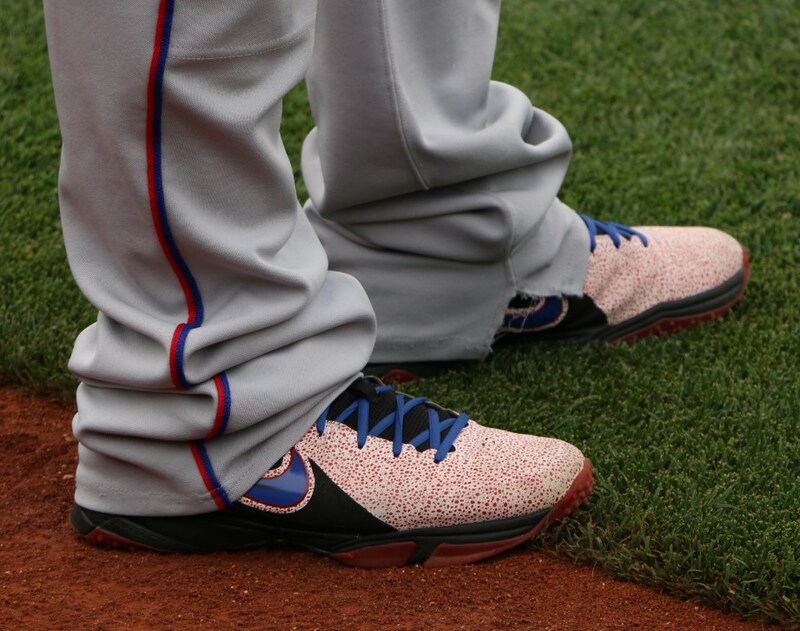 Not really sure what Prince or Nike is going for with these MVP Elite 3/4 turfs. My roomate said they looked like someone sneezed blood on them. Not my favorite look. Categories: Texas Rangers, Prince Fielder, Gear, Trainers/Turfs, First Base Mitt, First Base.